Our powerful Internet Plan Room® software with simple-to-use features and tools helps you find exactly what you’re looking for quickly. Identifying jobs to bid has never been more efficient. Once you’ve found a project that you’re considering bidding, track it for easy access as bid day approaches. 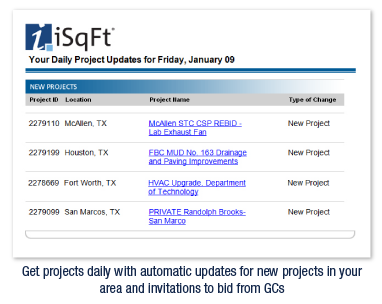 Receive alerts when new addenda are posted, new bidders are added, or project details change. iSqFt Takeoff is next-generation digital takeoff software that features easy navigation and a clean user interface. 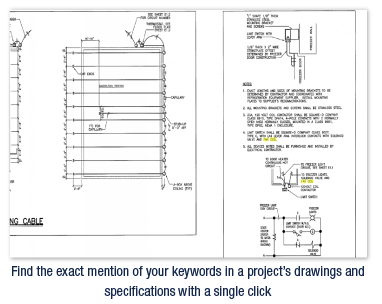 Learn more about performing digital takeoffs. You’ll get unlimited training and support from our team, based right here in Ohio, that is dedicated to ensuring your success.